Fantastic Morris Heights brick ranch home . Conveniently located close to the University, Children's and VA Hospital complex. Great accessibility to the light rail, I-70. Recently remodeled home in 2015! Freshly redone (real) gleaming hardwood floors on the main level. 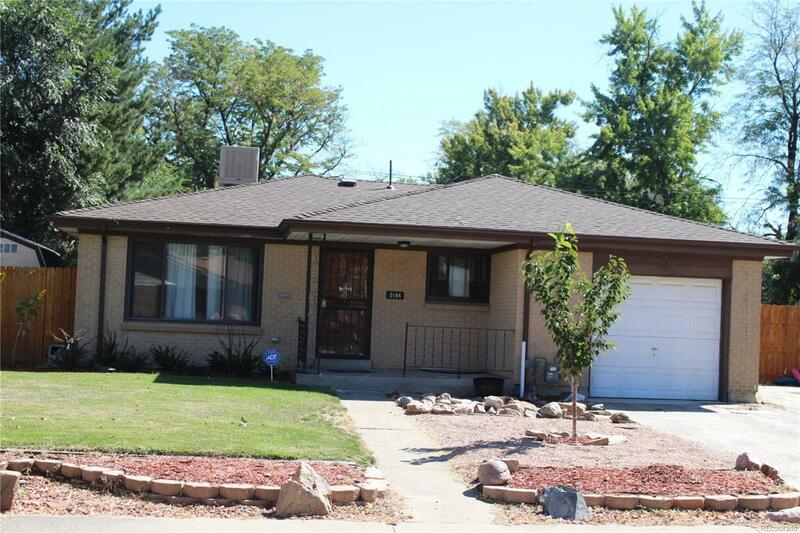 Home features 3 bedrooms on the main level and 2 non-conforming bedrooms in the basement. Fully finished basement with a huge family/Rec room, laundry and an extra storage room. Interior just painted! Both bathrooms have been remodeled. Gorgeous kitchen featuring slab granite and SS appliances (gas stove). Great covered back porch to enjoy the back yard, fire pit and kids play-set. Sprinklers front and back. Storage shed! Swamp Cooler! New roof! Extra parking on the side - great for a trailer or small RV.